The weather has been mostly rainy and overcast since I got my Fuji IS-Pro, however, while last Saturday wasn't great for IR photography, it was at least sunny. 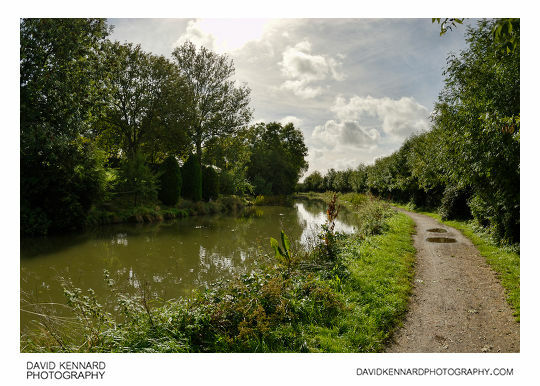 So I took both my Fujifilm IS-Pro and Nikon D200 out on a walk with me to take a few snaps. On the Fuji IS-Pro I used my Nikon AF-S DX Zoom Nikkor ED 18-70mm F3.5-4.5G (IF) lens, while on the D200 I had my Tokina ATX107 DX FishEye 10-17mm F3.5-4.5 lens. While the lenses aren't directly comparable, at 18mm on the nikkor and 17mm on the tokina, there isn't a great difference other than the the tokina being slightly wider and more distorted. When I get my UVIR cut filter I'll probably do a proper comparison between the two cameras and IR / Visible + IR / Visible on the Fuji. Which is probably okay if you take a slow methodical approach to your photography, but not very convenient if you're just taking a few snaps as you walk along. As per my previous post, I am currently using a resin Hitech Infrared filter for the Cokin P filter system, and one of the issues with this is flare caused by the resin filter. 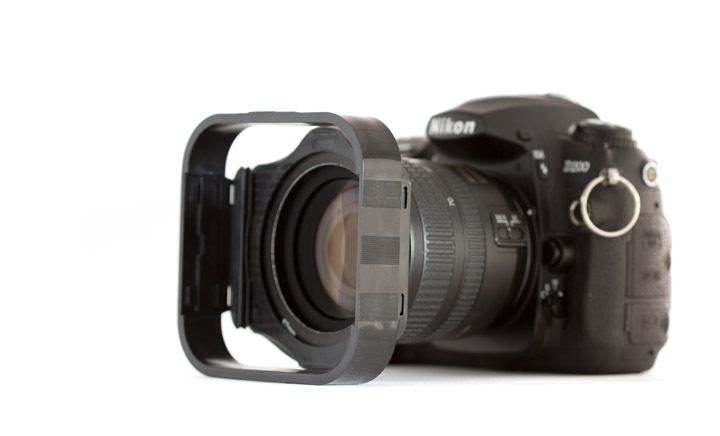 The lens hood available for the Cokin P system comes in a form of black plastic attachments about 20mm wide. You then attach as many of these to each other as you need for your lens, and then attach them to the filter holder. 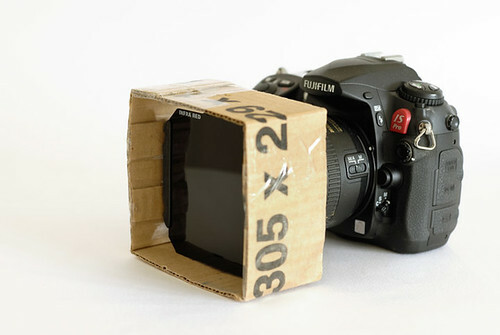 This cardboard lens hood works better than the proper lens hoods for the Cokin P filter system as it can easily be moved forward and backwards. Because it extends behind the filter, it should also make it less likely that you'll get light hitting the back of the filter and causing flare. In use, I found that when I could see lens flare in an image, I could move the lens hood further forward until the flare disappeared. However, it's not particularly easy to accurately adjust the lens hood while keeping the composition the same when shooting using live-view and hand-holding the camera. I also found that I had some lens flare in some of my photos when processing them, that I hadn't noticed when I was taking them. I think that it would be easier when shooting from a tripod as you don't have to worry about the camera moving about as you move the lens hood, and you can take more time to adjust it accurately. Someone asked me what the images looked like when shooting the Fuji IS-Pro without an IR or UVIR cut filter. The answer (in my opinion) is not very good - green foiliage appears brighter than normal and everything seems to have a reddish tint. 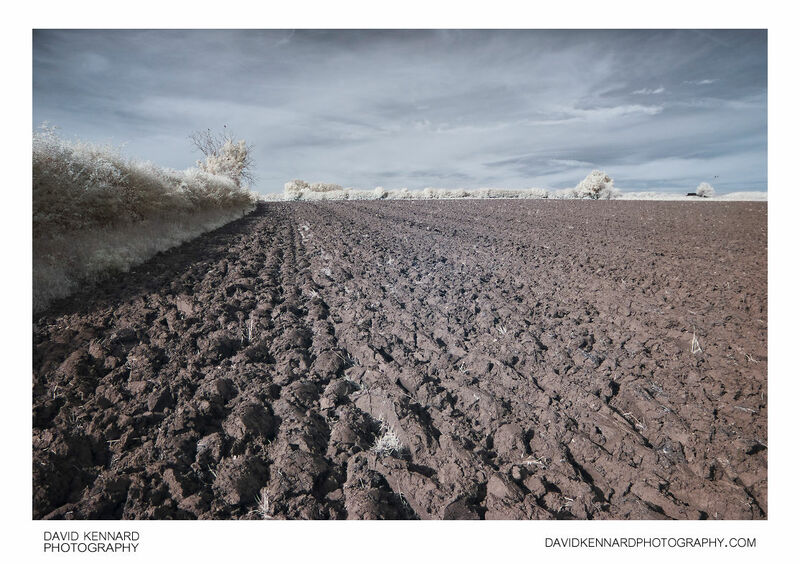 Both the below images have been post processed quite a bit, but they still give a reasonable impression of how Visible + infrared compares to visible only. 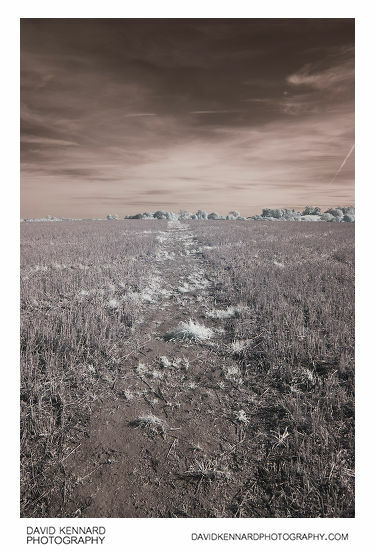 Because infrared light focuses at a different point to visible light, this can also cause blurriness when taking a photo using both visible and infrared light. I do find this evident in my visible + IR photos, though not a particularly great amount. When I get the UVIR cut filter, I should be able to do a better comparison between visible + IR vs. visible to see how sharpness is affected. DR and image size settings have no effect on the raw file unless you set DR to 100%. 100% switches off recording of the R pixels and the raw filesize halves. For all other DR settings the R pixels are recorded and the DR setting does not affect what is recorded on them. ACR and HS-V3 both use all the recorded pixels and so do quite a few other raw converters. They vary in exactly what they do with the recorded data. 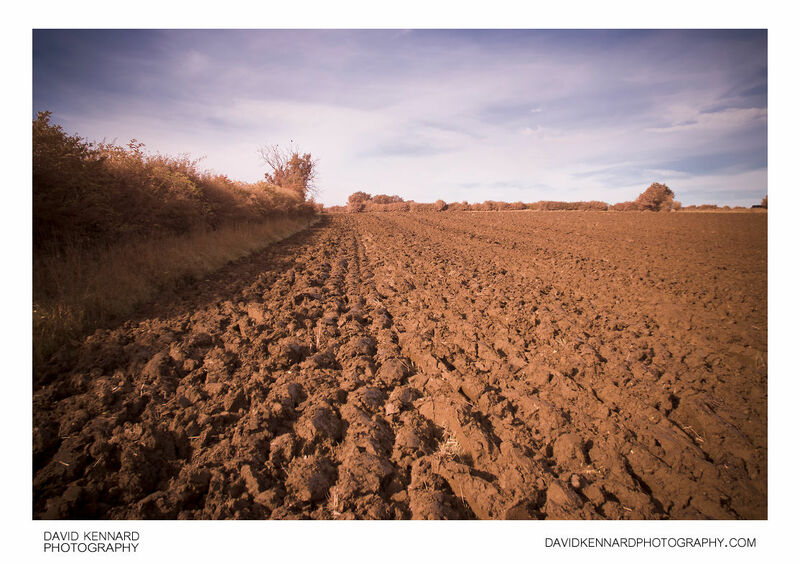 I prefer HS-V3 to other converters because of the smoother tonality and better colour response in images which are correctly exposed. If you make a point of massively overexposing your images and wanting to perform the data manipulation often described as "highlight recovery", then ACR does that more convincingly than HS-V3. Also thanks to Claypaws for pointing me towards the Fuji UK website as a place where you can buy Fuji's Hyper Utility HS-V3. The cost is currently £70 + £5 P&P, so I don't think I'll bother purchasing it. As of August 2014 it seems that HS-V3 is no longer available via Fuji's website. I am in pocession of IS PRO equivalent s5 pro fujifilm finepix has been disabled. However I obtained photographs that have pink trends in raf as in jpg. 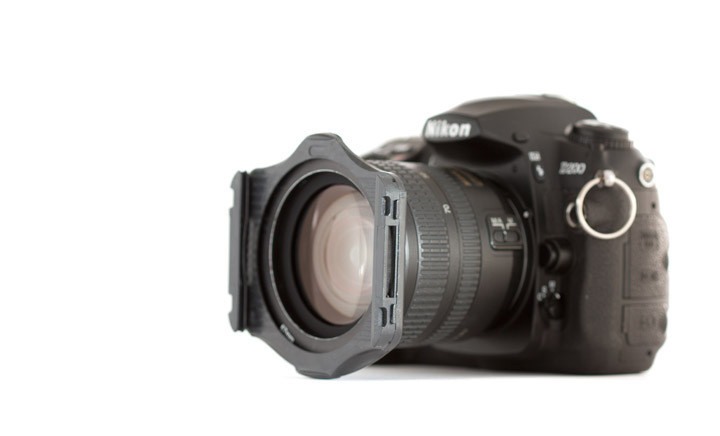 hardware question: what filter (tokina pro 20-35 / 77 mm) can I buy? software question: what program buy to translate these photographs? To use the IS Pro as a visible light only camera (similar to s5 Pro), you will need a UV IR cut filter to remove the IR and UV light. I use the B+W 486 UV-IR cut filter with the Fuji IS Pro, this filter is available in 77mm size. You will need to use Adobe DNG Converter to convert the Fuji RAF files to DNG, then use CornerFix to remove cyan vignetting that the UV-IR cut filter causes. After this you should be able to edit the files using any RAW converter / editor that supports DNG. I use Adobe Camera RAW. hi Dave. I sure hope you can help. I’ve got a Fuji IS Pro and have recently purchased a sigma 10-20mm f4-5.6 EX DC. I’m using a Marumi UV/IR Cut 77mm filter. the problem i’m having is every time i take a picture, with the filter on, I’m getting a pink circle in the middle of the picture. I only seem to get it with the wide angle lense. I don’t get it with my Nikon 18-55mm, Tamron 55-200mm or my Nikon 70-300mm. Is there anything i can do to resolve this problem?? 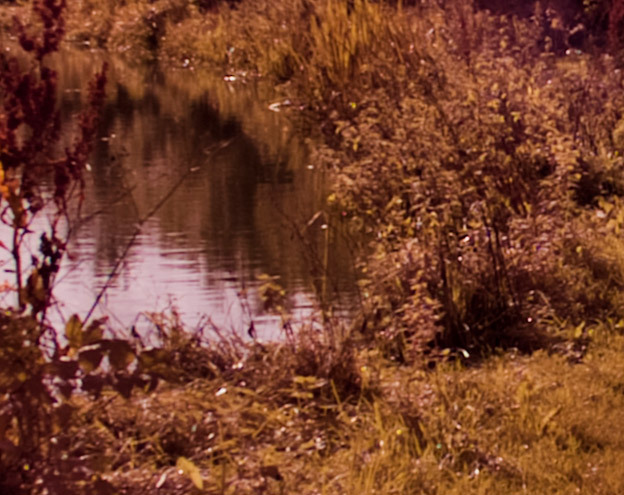 I also find that if i use an ND filter on any of the other lenses my images start turning pink again. please help if you can Dave? thanks very much, Jaye. It sounds like the Marumi UV/IR cut filter isn’t cutting all the IR, and the pink circle you are seeing is an IR hot spot. If you see this page: IR and lenses, you’ll see the Sigma 10-20mm is listed as having an IR hotspot problem while the Nikon 18-55mm and 70-300mm VR are listed as okay (the Tamron lens isn’t listed). 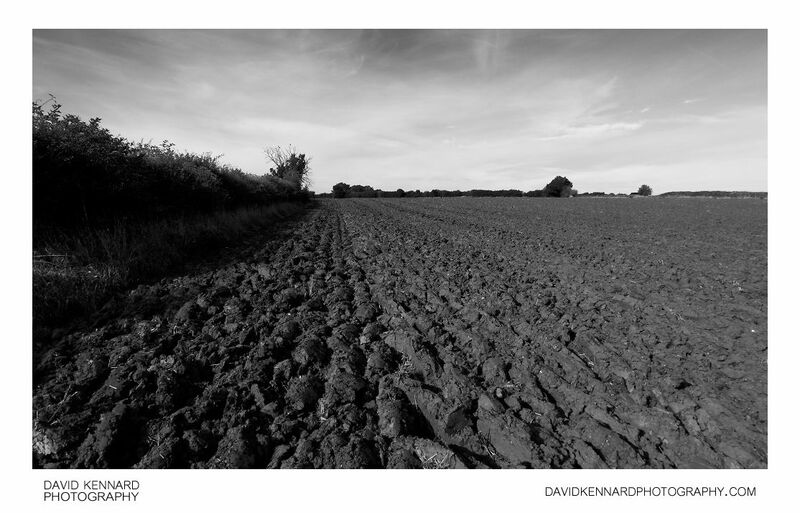 I’d recommend seeing if you can get hold of a B+W UVIR cut filter to try. If you can’t find a shop with one in 77mm size in stock, you could try Amazon. If it doesn’t work, I think you should be able to return it to them for a refund, though Amazon’s returns policy does seem a little vague in this respect. 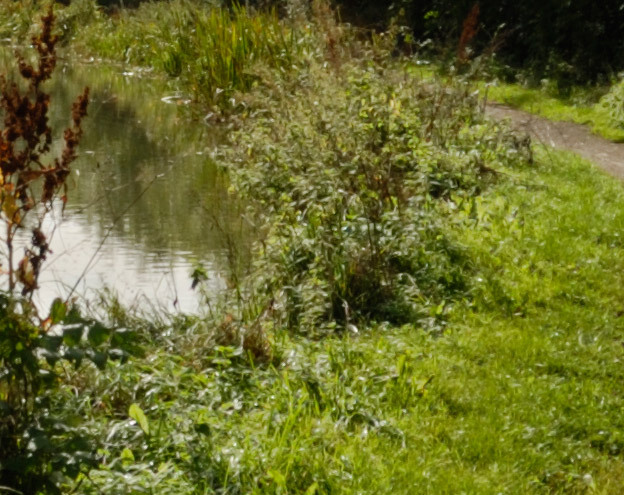 I’m using a 72mm version on my IS Pro but have never noticed any Pink Circles on my images, in fact the filter works absoloutely fine on my Nikon 28-100 lens, could it be a lens hotspot you are experiencing? My only observation is the Flare issue detailed in other posts, I often find flare on images that was not apparent when I took the image but understand flare on IR cameras is an issue, there is a good free IR guide on ‘Lifepixel.com’ highlights this issue. 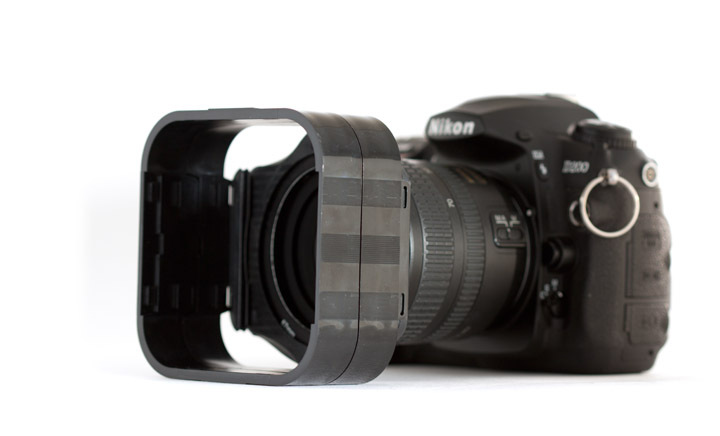 PS: Like the lens hood idea, have you considered using some Black Card or even black plastic strip stapled? I have used plastic milk carton bases before as flash bouncers or diffusers. Hi David, interesting to read about this camera, I have been looking for a DSLR for B&W Photograhy only, would you recomend this camera and woyuld it need any alterations for B&W only shooting. 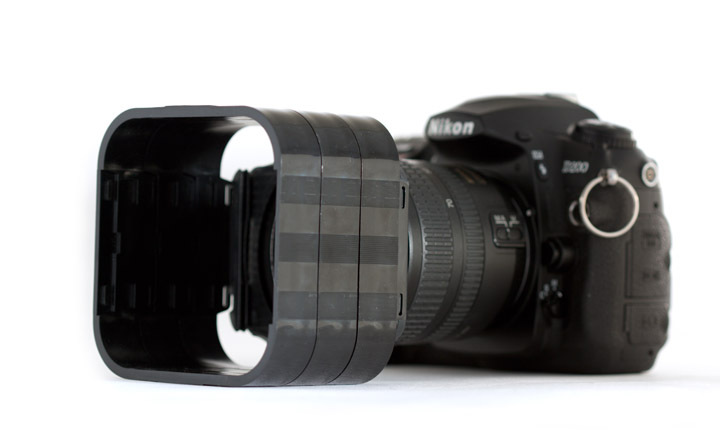 If you wanted to use the camera for normal visible light B&W photography you would need to purchase a UVIR cut filter. 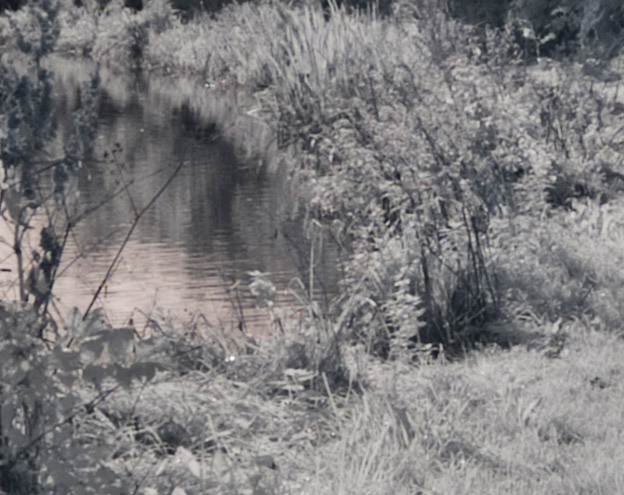 Without the UVIR cut filter IR reflective subjects, such as grass and trees appear much brighter than normal, and the image quality degrades due to the different focusing distances of IR and visible light. The only difference I can think of between using the IS-Pro for B&W vs. colour photography is that if you use a UVIR cut filter, then obviously you won’t get a cyan cast caused by the filter when shooting in B&W. 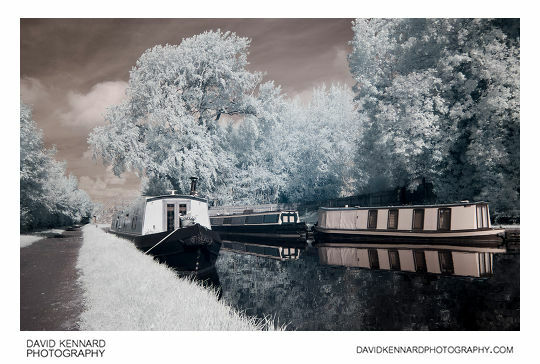 If you wanted to use the camera for B&W IR photography I can’t think there’d be any difference. 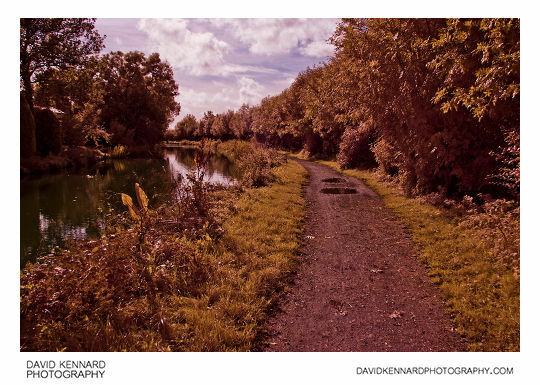 Certainly, my colour IR photos can be converted to B&W with no problem.